Dr. Erika Vasilescu graduated from the Faculty of Dentistry of the”Carol Davila” University of Medicine and Pharmacy in 2005. In 2006, she started work at DENT ESTET, being one of the clinic’s team members specialized in Endodontics . She has completed her studies with a master’s degree in dental pulp disease management at the Carol Davila UMP. 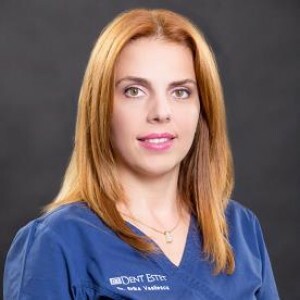 Dr. Erika Vasilescu focused her post-graduate specialization in endodontics techniques and Aesthetic Dentistry, becoming a specialist in Microscope Endodontics, thus managing to deliver results of an extraordinary accuracy.